The rent is excluding energy. 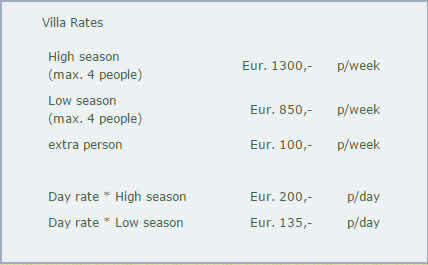 The price of energy during normal usage is € 2.00 per day per person this is to deal / deduct the deposit. *Day rate only in low season, minimum booking 5 nights. Within 5 days after booking you pay a down payment of 30% of the rent. After the down payment, your booking will be final. The rest of the rent with a deposit of 250 euros, you pay two months before the arrival date The deposit will be returned within two weeks after departure less energy and possible damage. The amount that has been transferred will not be returned. A cancellation and travel insurance should be taken care of by yourself. 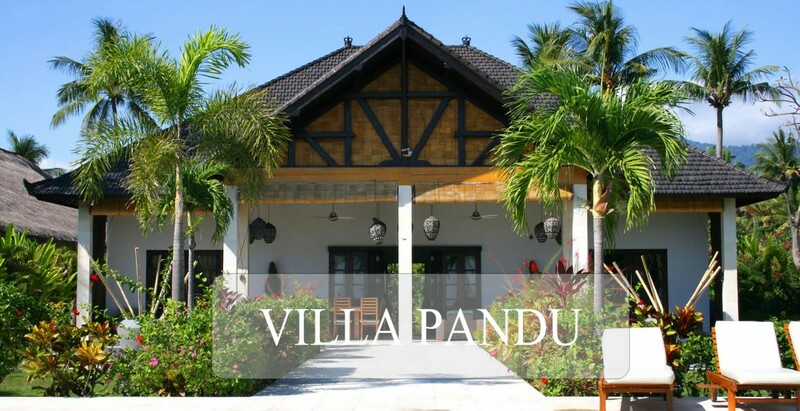 By paying the rent you indemnify the owners of the villa for all liability for personal injury and damage to or loss of goods during your stay at the villa. Obtaining tickets, if desired, can be arranged by us, of course, after approval of our quotation. For a holiday in Bali, you might need a visa. This visa is available upon arrival at Denpasar.